My answer was a bit of a surprise to me, but it would be the same as I write this now. I’m not scared for me, per se. I’m not scared of getting sick, getting cold, getting blisters, or getting hit by a rock slide. I’m not scared of dying, not because the odds of summiting are low, and certainly not because I welcome death. I’m afraid of failure. Not failing the summit. Who gives a crap? Four days ago, I spent an entire day with kids battling terminal illness. They are fighting for their lives, their families by their side. I’m fighting for, all things considered, a fairly meaningless accomplishment. We’ll have about 20 porters carrying our stuff and setting up camps, and a guide to lead the way. This isn’t chemotherapy. It’s not close. I’m at ease about maybe not getting to the summit. Once my feet hit the trail tomorrow, I only have two options: up or down. I can’t control AMS, HAPE, or HACE, so I’m not afraid of them. I’m afraid of letting my team down—this team with me and my Flowfold team back home. I’m afraid I pushed the limits of the crew with a 5.5-day ascent. I just don’t want to let anyone down. That’s really all I’m worried about. Because that I can control. Other than removing and cleaning up a few swear words (I apparently curse like a pirate when fatigued and stressed), this is verbatim from my journal, written during the trip. What you see below is exactly what I was thinking and feeling along the seven-day journey atop Mt. 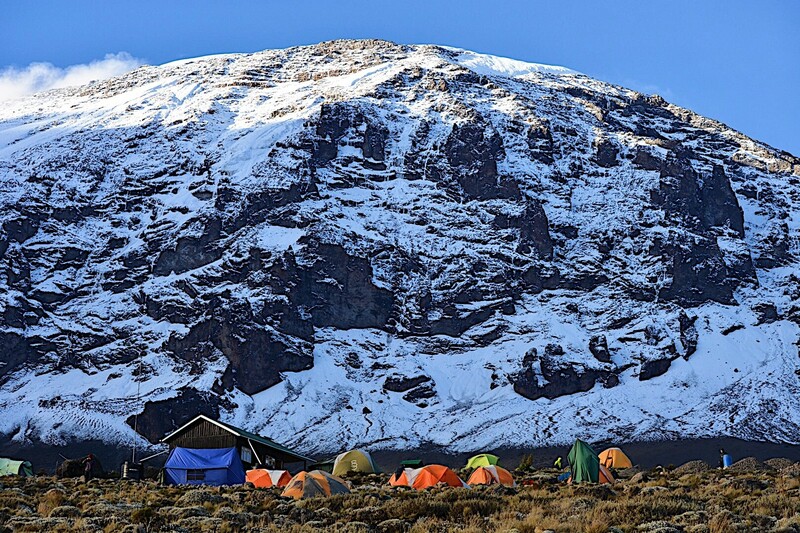 Kilimanjaro, the world’s highest free-standing mountain. Sunday, March 4, 7:04 p.m. I thought I might die today. But, I’ll get to that. Let’s start here: I summited. 19,341 feet. Check. As predicted, I couldn’t sleep. At 10:30 p.m. last night, I took all my summit clothes that I had packed a few hours before and put them in my sleeping bag. I spooned them for about 15 minutes to get them warmed up. 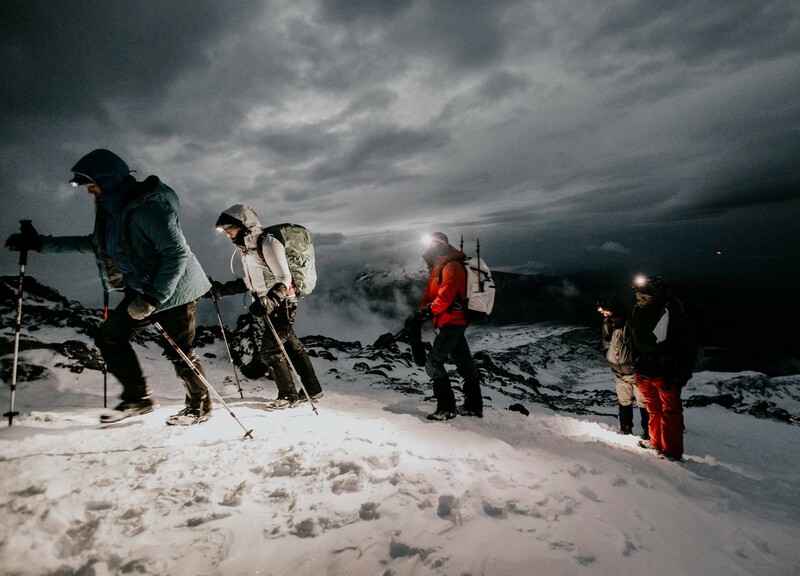 I got changed, packed up, and met the team for some tea, and we started our summit push around midnight. It was a full moon but cloudy, so we went slow, working step by slow step under headlamps until around 6:30 a.m. By that time, we were meaningfully higher than we’ve ever been (I’d assume near 18,000 feet) but still hours away from the summit. It was right around then that I started to get emotional. It had been a cold and dreadfully slow 6.5 hours, but the conditions were tough, and the mountain demanded difficulty. My toe warmers felt frozen at this point and may have been working against me. I was cold, very cold. But, as light started to hit the horizon, I turned behind me to see our porters lending a hand to other members of the Flowfold team by carrying their bags (on top of their own bags, mind you). They were holding the struggling climbers by the arms, encouraging them and even singing to them. I was blown away by the showcase of human spirit. 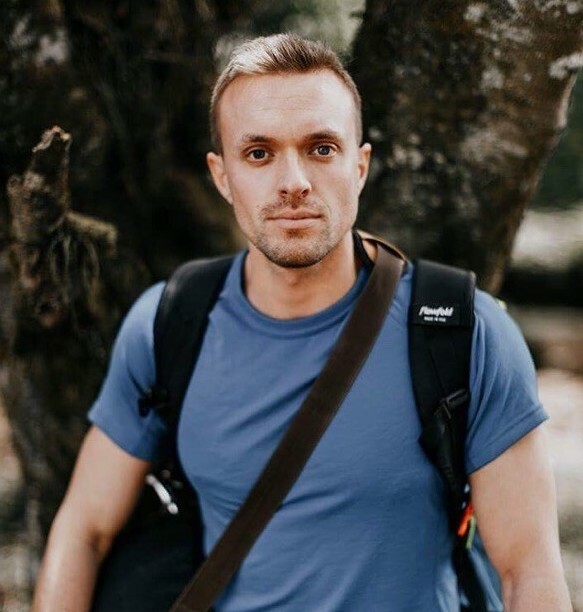 Although I had no signs of AMS [acute mountain sickness], several on the team were pushing themselves beyond the limits that any of us thought possible. It was was gut wrenching and heart warming at the same time. My heart broke for a member of our team who had to turn back. She fought so hard. Harder than anything I’ve ever seen in my life. I am amazed by her as I write this. But, the mountain was not worth her life. It was the right decision for her to turn back. It was a brave decision. Without the guides, I think two other climbers would have likely turned back with her. I’m not a spiritual person, but the guides were angels for us that day—myself included, as I would later find out. We continued to climb on well into the morning, until we reached Stella Point (18,885 feet). Although not the summit, this is effectively when the push is over. We had been told that it was just a short trek to Uhuru Peak, the true summit at 19,341 feet, and that Stella Point was the real challenge and even had the better views. The views didn’t matter much. We summitted Uhuru in a whiteout and could basically only see the person’s heels in front of us. We all completely broke down in tears at this point. Zack was trying to interview me, but I was sobbing too hard to actually say anything. All I was able to get out was, “I’m just so proud of the team.” Then, I saw Matt crest the summit, porters by his side and Jerald, our head guide, singing to him. I walked over to him and embraced him with Chris and Adam. We stood there, holding Matt, all crying as he just kept on saying, “This was the hardest thing I’ve ever done.” I will never, in my life, forget this moment. I really hope Zack got it all on camera. Up until this point, my climb to the summit of Kilimanjaro had been comparatively and relatively easy. But, I did not escape her without my own hardship. Ironically, everything went bad for me after I summited. We took pictures at the summit but started heading down as quickly as we could. 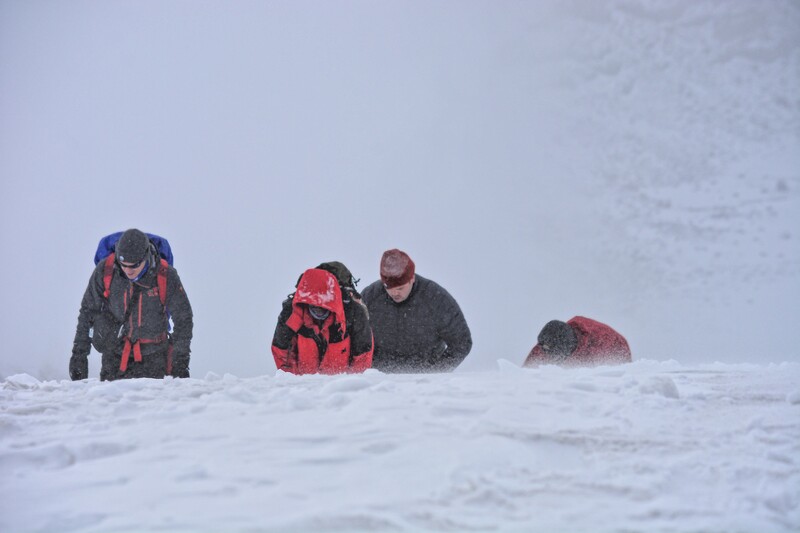 Conditions were worsening, and the normal six- to seven-hour summit push had taken us over 10. It was late to be on the summit, and we needed to get down, quickly. I didn’t have goggles (the rainy season had come early, and no one was expecting conditions like this) and had to wear sunglasses to protect my eyes from the blinding snow. But, because of that, I couldn’t wear my balaclava to protect my face. My sunglasses would fog up, leaving me blind. So, I had to decide: Do I protect my eyes or my face? “Luckily” for me, I had sort of prepared for this. I had purchased a specific type of sunscreen designed for high-altitude mountaineering. It was supposed to shield my face from the sun and wind. The wind was sending snow directly into our faces at this point. It was unrelenting. So, I lathered my face and lips with the sunscreen. A thick coat. In a twisted case of irony, I had saved this sunscreen for this very moment. I hadn’t tested it before. This could have cost me my life. As I started walking back down towards Stella Point, I made it about 200 feet before my lips and face started to burn. And, then, my eyes started to water. And, then, my face started to swell up. I didn’t know what was happening, but when both of my index fingers (the fingers used to put the sunscreen on my face) became red and burned like my mittens were an oven, I knew I was in trouble. I knew I was having a reaction to the sunscreen. I’m on top of a mountain at this point, 19,000 feet up, and when my lips started to swell up, I thought I might actually die. In my mind, I just assumed my throat was next or my eyes would swell up, and I wouldn’t get off the mountain. Remember when I said there was something spiritual about Jerald? I don’t really understand this next part, but here goes. Jerald was never around me during this hike. He was always helping other people. I was in good shape for the whole hike, so he didn’t need to pay attention to me. But, as soon as I realized I was in trouble, I got myself off the trail. I took off my hat and my gloves, and I used the rest of the water to wash my face. I used my hat to wipe off as much sunscreen as I could, but I didn’t have a towel or any wipes or anything, and it all still burned. My lips were still swollen, and I was still terrified. Then, out of nowhere, Jerald appears with a full jar of Vaseline. A whole thing of it. What was he doing with that on a summit day? I lathered it all over my face, and the burning and swelling started to go down. My heart rate relaxed, and I continued onto Stella Point. But, I wasn’t out of the hot water yet. Not even close. 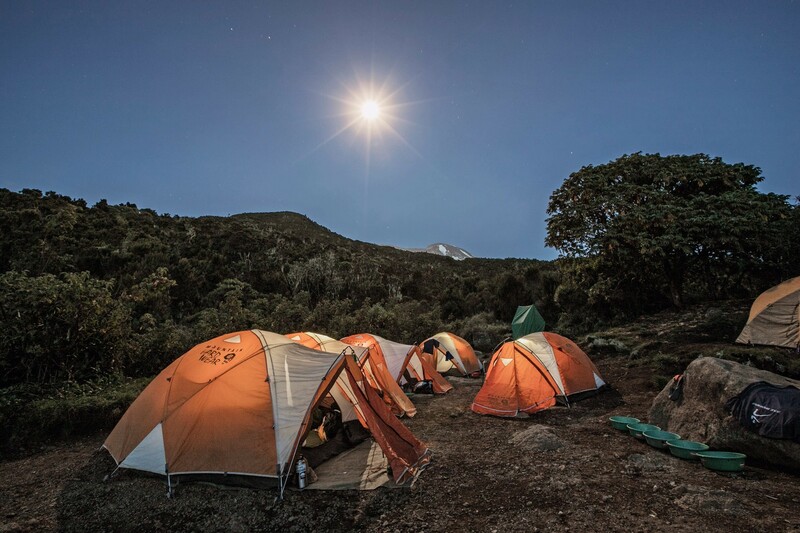 It’s hard to describe Kilimanjaro. She was mean. She was equal parts stunning and wicked. Beautiful and conniving. It was freezing cold, windy, and snowing on the way up to the summit. But, here I am, 19,000 feet up, having an allergic reaction to sunscreen, and the weather turns. From Stella Point on, from about 11 a.m. to 3 p.m., it was the hottest I’ve ever felt in my life. I cannot describe just how uncomfortable it was. All of us took every layer off. Long johns, fleeces, hats, and gloves, it all came off. There was this strange haziness everywhere. You couldn’t see without your glasses on. I couldn’t see the sun, but it was the brightest day I’ve ever seen. It was blinding, and we were completely exposed. We were prepared for bone-chilling cold. We didn’t have bandanas or flat-brimmed hats on us. We were on the trail roasting, for over three hours with no shade anywhere. We were 18,000 feet up. Trees don’t live up there. To make matters worse, my face was covered in Vaseline. As I write this, my lips are swollen, and I’m in a tremendous amount of pain. I’ve been told I don’t look good. I don’t know what I’ll look like in the morning or whether or not I’ll need medical attention. I’m in rough shape and I’m scared. Monday, March 5, 6:04 p.m. I don’t think I need medical attention. My lips feel like they have a mix of chemical burn and sunburn on them and are extremely painful. But, I was able to shower and wash my face off. At this point, the swelling has gone down, and I’m no longer dealing with the allergic reaction. I simply have to deal with the burn. I have the feeling it’s going to be an uncomfortable few days flying home. I’ve had a little time to reflect at this point, and the overwhelming feeling I have now is gratitude. I’m about to go have our last dinner with the team, and I’m so grateful for them. I’m so proud of them. They all fought so hard. I’m likely done documenting at this point and plan to soak up any time I have left with the team. Bottom line, we survived, and this has been the single greatest accomplishment of my life. Editor’s Note: James Morin is the COO and President of Sales at Flowfold. 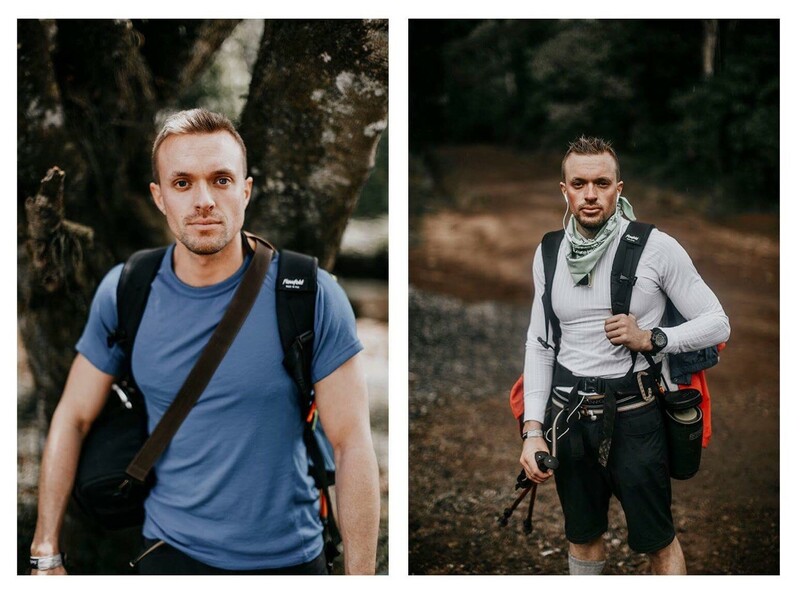 This post has been excerpted from his blog post documenting the climb. Read the full post here.